Researchers placed 160 cameras on nineteen of the twenty-two Apostle Islands to see which carnivores were living there. 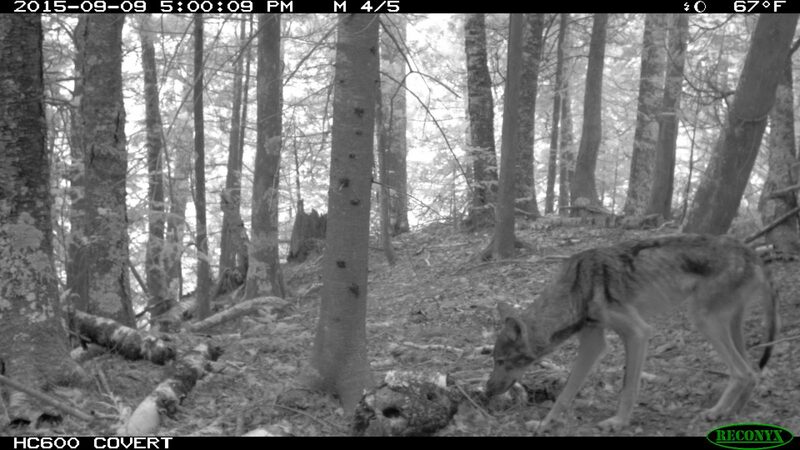 After taking more than 200,000 photos over a period of three years, the team discovered that several carnivores are living on various islands in this remote archipelago in Lake Superior. 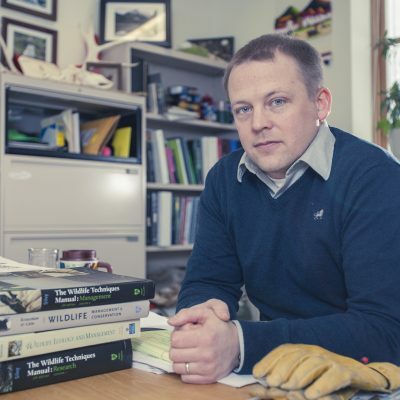 “This is one of the first studies to examine the carnivore community of the Apostle Islands archipelago,” said Erik Olson, associate professor of natural resources, who led the new research with Van Deelen at the University of Wisconsin, Julie Van Stappen of the Apostle Islands National Lakeshore, and Illinois Natural History Survey Wildlife Ecologist Max Allen. Reported in the journal, Community Ecology, the study reveals a thriving community of carnivores, with some doing better than others on islands that differ in size and proximity to the mainland. The researchers put motion-activated cameras on each of the islands studied, at a density of one camera per square kilometer. Over time, the camera traps recorded ten of twelve Wisconsin land carnivores, including American martens, black bears, bobcats, coyotes, fishers, gray foxes, gray wolves, raccoons, red foxes, and weasels. 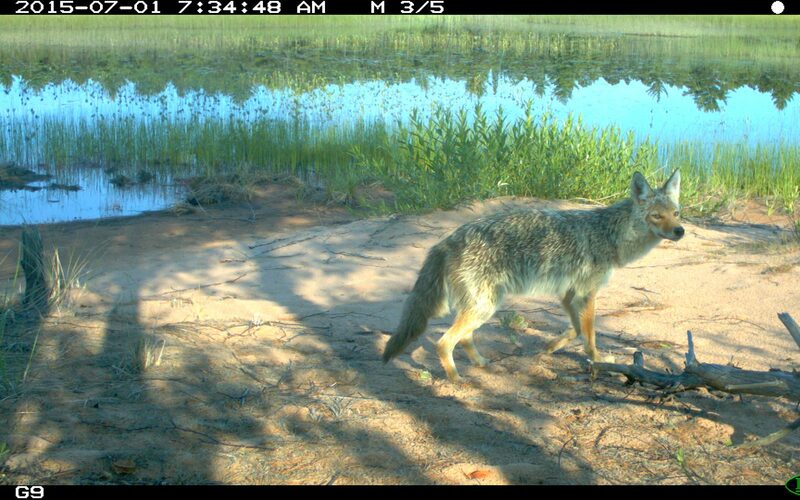 The cameras also captured images of semiaquatic carnivores, mink, and river otters, as well as raptors, small rodents, squirrels, songbirds, and waterfowl. The research offers new insights into a phenomenon known as island biogeography, which generally states that larger habitats and habitats closer to other habitats will support a greater diversity of species, due to factors influencing immigration and extinction within each habitat patch. Most research on island biogeography has been conducted in tropical marine systems that have innately high levels of biodiversity. The new study is unique in that it examines carnivores in a remote island archipelago in a temperate locale. Black bears were found on thirteen of the islands examined. They appeared to prefer bigger islands that were closer to other islands. Gray wolves, however, were only found on Stockton Island, one of the biggest islands of the archipelago. These differences may have to do with the animals’ diets and habits, Olson said. Bears tend to be solitary and eat a variety of foods, while wolves are social, with more specialized diets. The latter tend to prey on ungulates like deer and the Apostle Islands archipelago has relatively low densities of deer to the mainland. The distribution of these carnivores is likely driven by how they move between the islands. Some of the carnivores may swim from island to island while others may use ice bridges that form in winter between the islands. “Our data suggest that coyotes and red foxes use ice bridges to move between various islands, while black bears are likely swimming between the islands,” Olson said. Documented declines in the duration of lake ice as a result of climate change may hinder the movement of carnivores, like coyotes and foxes, between islands and to and from the mainland. “These island systems are great natural laboratories—allowing us to explore the ecological forces structuring wildlife communities and how human activities may influence those forces,” Olson said.